3. Select the push-to-talk button by tapping on "Custom" or "Headset hook"
4. Select "Toggle" mode under "Push to talk button action"
1. Set push to talk button "Action" to "Press and Hold". 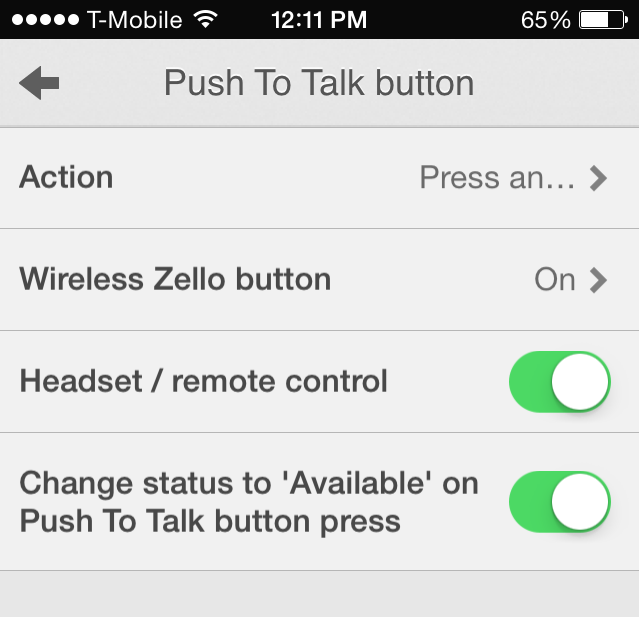 (Zello menu > Settings > Push To Talk button > Action > Press and hold). 2. Make sure you have enabled "Headset/remote control".